Jim Carrey went after President Donald Trump and Defense Secretary Jim Mattis with dogged determination in his latest political cartoon. Actor/artist Carrey unveiled his newest piece via Twitter on Friday, depicting a Mattis-faced dog planted in Trump’s lap, as Trump offered it a bone. “Has Mad Dog Mattis become Lapdog Mattis? Are the brave men and women of our military now being used as extras in an expensive PR stunt…paid for by YOU?” Carrey asked in a message accompanying the piece. “It’s just one of the many ways Toolius Ceasar disgraced himself and our soldiers this Veterans Day,” Carrey added. Carrey’s latest artwork arrived after Mattis appeared to defend Trump’s deployment of troops to the U.S./Mexico border, amid Trump’s warnings of a migrant caravan from Central America. According to the Washington Post, Mattis invoked Mexican revolutionary general Francisco “Pancho” Villa while discussing the deployment. This isn’t the first time — even this week — that Carrey has criticized the deployment of troops to the border. 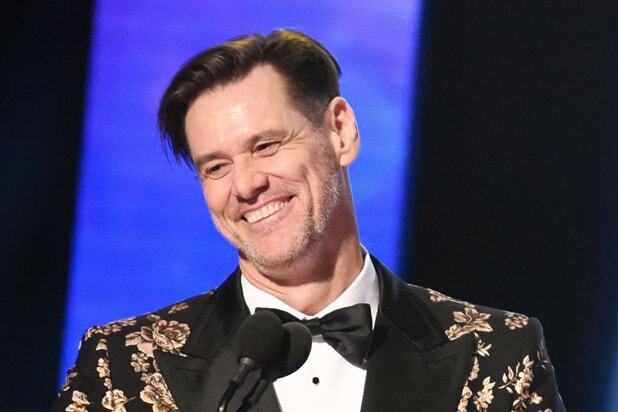 On Thursday, Carrey took a shot at Trump, calling him out over his move to deploy troops to the U.S.-Mexico border as the death toll from the California wildfires grew. 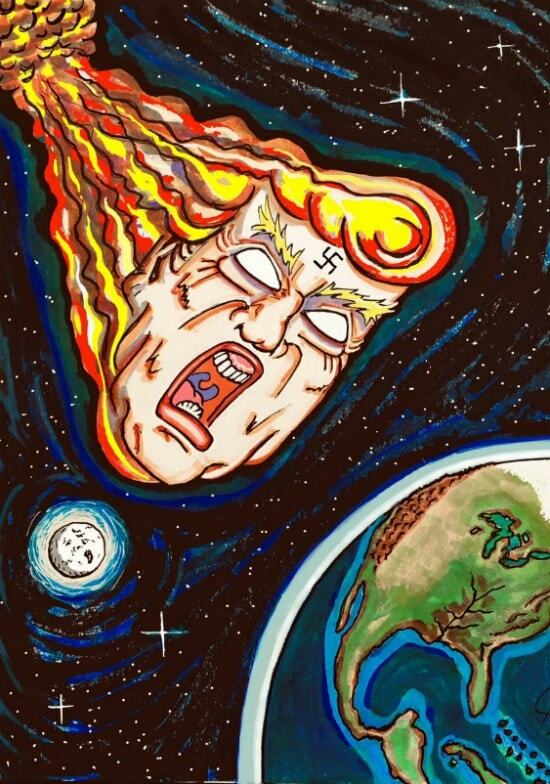 “As the California death toll rises our Sadist-in-Chief is spending $220 million to send troops to the border for nothing,” Carrey wrote of his artwork, published to his Twitter account.